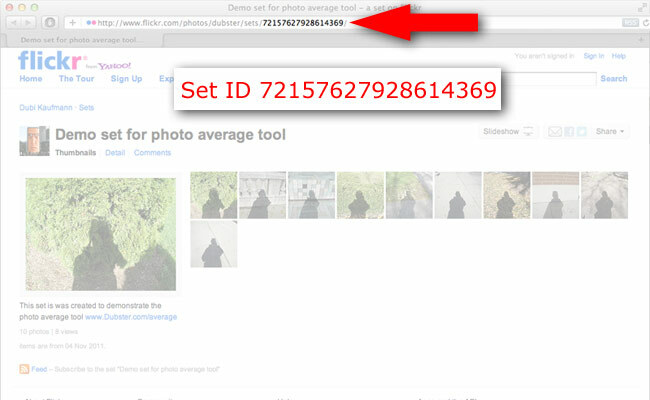 The Average image tool for Flickr takes the unique number of a photoset and generates an image that is the average of the photos in that set. It can also make an average of a given tag. some examples.